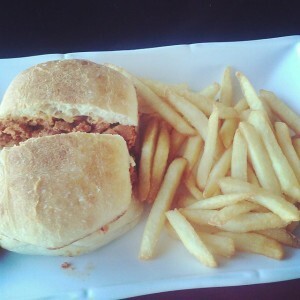 APPETIZER: Pan Chorico, a Portuguese sausage and potato sandwich with fries. Previous PostPrevious Instagram: Panthers & Steelers win celebratory 40s! Next PostNext Instagram: Road trip.